HomeArea InfoHistoryEnjoy a walking history tour in and around the downtown Gaylord area. 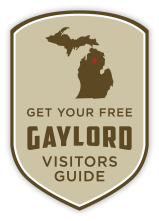 Be sure not to miss the Gaylord Car Factory located on Wisconsin Street. 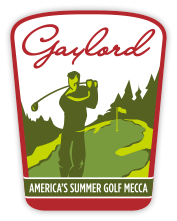 The Gaylord Motor Company (GMC) was started in 1910. The car was first assembled in Detroit and then returned to Gaylord. It was called the Gaylord Model 30 and about 50 cars were produced the first year. 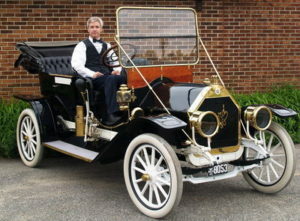 In 1911, the company produced a D-S Touring Car and the R-20 Utility Roadster. Cars ranged in price from $1,000 – $1,500. An historic Gaylord Car is now proudly displayed at our Information Center at 319 West Main Street. Another noteworthy stop on the tour is Shannon Park. Located downtown and dedicated to Claude Shannon, this park commemorates the highly respected scientist whose work in 1936 at MIT received the Nobel Prize of the Combined Engineering Societies of the USA. This work was fundamental to the design of digital computers and integrated circuits. Dr. Shannon went on to develop other important works which had and continues to have, far reaching impacts. Dr. Shannon grew up in Gaylord, then attended the University of Michigan and MIT where he majored in mathematics and electrical engineering. For more information on Claude Shannon, grab your laptop, relax on a bench downtown and search the internet using the Wireless Hot Spot located throughout our downtown area.